This is a digital product and will be delivered to your email address. This is a physical product and will be delivered to the address you specify. This is a special Book Launch Sale offer and will not be available after midnight, November 1st. Don’t miss out on this opportunity to apply these parenting principles from Jimmy and Laura today! For 30 Years, the Seiberts have sent missionaries to the nations, planting local churches and seeing the kingdom of God come to the unreached. Antioch Community Church, where Jimmy and Laura serve as pastors, has undertaken a building project to better serve our local and international mission efforts. As always, Antioch is committed to building these facilities debt-free. 25% of all revenue generated from this 4-day book launch will go directly to Antioch’s building fund, helping to fuel missions both locally and abroad. Purchase your copy today to show your support. 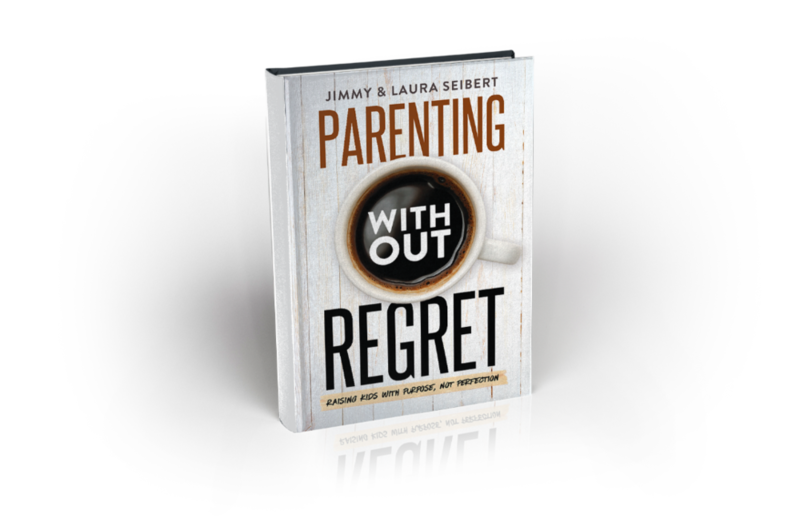 Share this with your friends who may benefit from Jimmy and Laura’s practical parenting helps. Not only will they be investing in their family, but they will be investing in missions, here in the US and abroad! Don’t out on this great opportunity to invest in your family and the world God is doing through Antioch Community Church!